How Long Does Collective Memory Last? 30 years it gives. Thirty. That’s one generation by some calculations. That’s how long we can expect a cultural memory of John Lennon to (have) last(ed) by oral communication alone. After 30 years the memory needs a written communication in order to survive. I don’t know how that little bit of research finding will feed into studies of “oral tradition” and “memory theory” related to Christian origins. I’ll have to take some time to master the various definitions and concepts of the Nature article and only after that will I feel I might be in a position to think through any implications. Others may be well ahead of me in this regard, however. I’m open to learning something new. The Psychology of Eyewitness Memory And What’s This All About Anyway? The third paper of the first day of the Memory and the Reception of Jesus in Early Christianity Conference (10th-11th June 2016, St Mary’s University) was by Richard Bauckham: “The Psychology of Eyewitness Memory”. Helen Bond followed with her paper on the Gospel of John’s use of Mark (see previous post) and then there was a discussion between the two presenter and audience. It was the discussion that I found most interesting. Richard Bauckham’s talk was indeed about the psychology of eyewitness memory and with little in the way of specific applications to biblical studies. 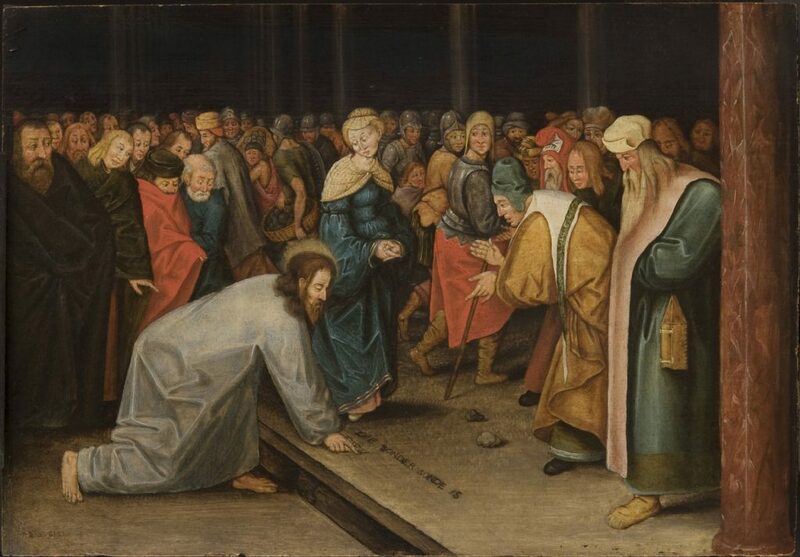 His primary concern appeared to be to assure the audience that though one often hears how unreliable our memories are, including how unreliable eyewitness testimony so often can be in courtroom situations, nonetheless, when it comes to the sort of episodic memory we are talking about when we think of Jesus’ followers, memories are generally pretty sound for most purposes. And of course such memories are cemented in our brains the more often we rehearse them. Very broadly we can speak of three types of memory: procedural, semantic or conceptual, and episodic. Procedural memory refers to remembering how to ride a bike, etc. Semantic or conceptual memory refers to remembering concepts, book learning, etc. Episodic memory refers to events that happen to us, the stuff that makes up major events in our lives. It is the third type of memory that we are addressing when discussing gospel narratives and their eyewitness source material. That type of memory is more stable than the other two. If you are injured in a car crash you are not likely to think back years later and wonder if your injuries resulted from falling off a mountain. Many stories highlighting the unreliability of memory derive from laboratory conditions and involve semantic or conceptual memory exercises. There is little real-life relationship to these findings. You life-situations are not so vulnerable to forgetting major or unusual events in your life. All of that makes sense to me. But of course it does not address directly the reliability of the Gospels. For that question Bauckham referred occasionally to his book Jesus and the Eyewitnesses. The second paper of the first day of the Memory and the Reception of Jesus in Early Christianity Conference (10th-11th June 2016, St Mary’s University) is “The Reception of Jesus in Paul” by Christine Jacobi. In sum, to the best of my understanding (and there is considerable external noise in the video) here is Christine Jacobi’s main argument. Paul’s was indebted to a Jesus tradition conveyed by eyewitnesses and others but what impressed him the most and formed the foundation of his and his community’s identity was the Christ Event itself. This enabled him to justify certain rulings that were in keeping with the meaning of that event and the needs of his churches as they identified themselves with that Christ event, even if those teachings contradicted specific sayings that the tradition attributed to Jesus himself. 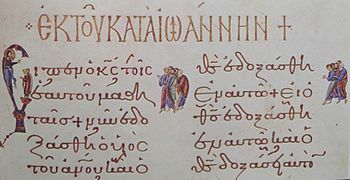 Christine Jabobi’s thesis: Pauline letters are part of the early Christian memory of Jesus although Paul was not interested in the earthly Jesus. With traditional materials and his own reasoning, the apostle subordinated the Jesus tradition that was known to him to a comprehensive overarching interpretation of the Christ Event. Paul did not care for historical distinctions between early original material and later interpretations. 28 Bless those who curse you . . . .
Did Paul take the words of Jesus that he heard from the eyewitnesses of Jesus and did those eyewitness traditions eventually catch up with the gospel authors who set them in writing? Jacobi rightly argues that the evidence can just as validly support the argument that Paul adapted the teachings from other traditions, especially Jewish wisdom literature such as the Book of Proverbs, and that the evangelists who wrote the gospels took the words from Paul and adapted them to make them the words of Jesus. One scholar, Dunn, argues that Paul could mix the “remembered” words of Jesus with his recollections of Jewish Scripture and use them both as if they had equal authority. Jacobi thinks it unlikely that Jesus’ words would have had such authority so early. But Jacobi points to other passages in Paul’s writings that explicitly contradict the words of Jesus that the gospels indicated came from the “Jesus tradition”. We are familiar with Paul’s disagreement with Jesus over marriage and divorce. Paul additionally rejected the right, even thought it had been made explicit by Jesus, to be supported by the people he served in his ministry. 14 In the same way, the Lord has commanded that those who preach the gospel should receive their living from the gospel. 15 But I have not used any of these rights. And I am not writing this in the hope that you will do such things for me, for I would rather die than allow anyone to deprive me of this boast. 7 Stay there, eating and drinking whatever they give you, for the worker deserves his wages. What is going on here? If Paul knows of the same Jesus tradition that is said to emerge later in the gospels then why does he short-change it? Notice that even in the Romans 12 passage on blessing one’s enemies Paul does not appeal to the same carrot that Jesus held out to motivate his readers. Jesus promised those who acted this way a great reward in heaven. 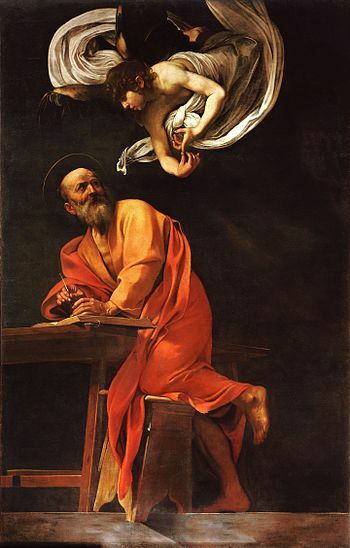 Paul, rather, in other passages in his writings appeals to his followers to identify with God himself and to be like the God who revealed himself in the Christ event — that is, to be like the God who revealed himself in the flesh and forgave others before and after ascending to heaven. In other words, Paul subordinated the words of Jesus to something far more important, far bigger, than discerning their exact form. 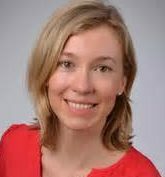 What is surprising to Christine Jacobi is that such a hypothesis would mean that the earliest accounts available to us that contain memories of Jesus are highly interpreted and adapted for contemporary needs while the later evidence, the gospels, contain the words of Jesus in a less interpreted and a more original form. One would normally expect to find the reverse in the extant evidence: the earlier containing the more primitive account and the later evidence the more highly interpreted and adapted forms. Is it not a simpler hypothesis that Paul adapted teachings from Jewish and Hellenistic literature and that the gospels reframed many of his words and placed them in the mouth of Jesus? 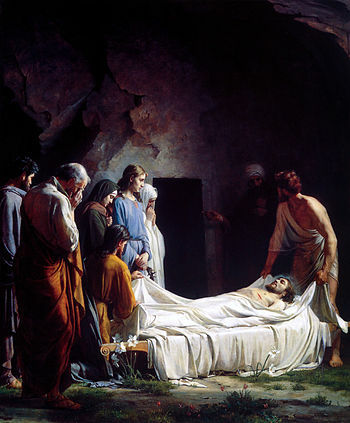 Does not this simpler hypothesis account for the same data we find in both the letters of Paul and the Gospels while raising fewer questions about why Paul went to such extreme lengths to distance himself and his words from any acknowledgement to “the historical Jesus of Galilee” whose life was, after all, integral to “the Christ Event” that so completely consumed Paul’s focus? Reception of Jesus in Early Christianity, Conference. Some Questions. Lectures from the Memory and the Reception of Jesus in Early Christianity Conference (10th-11th June 2016, St Mary’s University) have been made available at Biblical Studies Online. I look forward to updating myself with these talks and have already listened with interest to the first two, “The Memory Approach and the Reception of Jesus” by Chris Keith (though read by Steve Walton) and “The Reception of Jesus in Paul” by Christine Jacobi. Chris Keith’s paper essentially outlined the introductory points he has published previously about the nature of the social memory approach to Jesus studies but with an emphasis on defending the originality of what it has to offer New Testament scholars today. Much of the criticism of memory theory in New Testament studies, he begins, even criticism that has passed through the peer-review process, has been inaccurate. It has mischaracterized what the approach is about and failed to engage with the theory and its methodology. The main point Keith emphasizes is that past events are not remembered (individually or collectively) in a “pristine” state as if preserved whole in a time capsule for our benefit, but are always remembered through the filters of earlier interpretation of the event that we have inherited and our present interests, needs, circumstances, environmental or cultural influences. As a long-time student of history I see nothing controversial about this statement. It strikes me as little more than a truism for any serious historian. However, I do wonder what such a process of “remembering” means for Chris Keith when he cites as a case study by David Parker(?) the pericope adulterae or passage in the Gospel of John about the woman taken in adultery. The manuscript evidence informs us that this story was not part of the original Gospel yet the story is such a part of our heritage that it inevitably influences the way we read and think about the gospels and the historical Jesus. Knowing that it was not part of the original accounts does not remove its influence over the way we think about Jesus. I question that claim. If I understand the point correctly, I cannot accept that it is true. Surely scholars have written their own views on the historical Jesus that have no place at all for this story. Traditionally many scholars have attempted to reconstruct the teachings of Jesus entirely by means of comparing data in the synoptic gospels and leaving the entire Gospel of John (not just the pericope adulterae) out of their view completely. Parker’s (and Keith’s) claim that the story inevitably influences how we think about Jesus is true at a general cultural level; Jesus’ forgiveness of the woman is part of image of Jesus that has come to us through our cultural heritage. But anyone who is interested in a serious study of the gospels by normative scholarly means can indeed construct a “historical Jesus” that allows no place for it. Or perhaps I misunderstand the point. I am open to being corrected. Later Keith argues that memory theory turns traditional historical positivism on its head. Again, I find myself questioning his presentation. To begin with, he offers what to me is an inadequate definition of what positivism means as an approach by historians to the past. In Keith’s view as I understand it historical positivism is the belief that the historian can and should “get behind the sources” to recover a purely objective truth or fact of what actually happened. From this point Keith argues that since the past must always necessarily be interpreted to be remembered at all, then it can never be “truly objective reality” but always some form of narrated “myth”. To justify this view Keith refers to the work of Jan Assmann on mnemohistory. I have addressed Jan Assmann’s interest and what he means by mnemohistory in Tales of Jesus and Moses: Two Ways to Apply Social Memory in Historical Studies and show why comparing Assmann’s history of how historical figures were remembered with other historical tasks such as understanding, say, the origins of the French Revolution (or the origins of Christianity) is seriously misguided. What Jesus scholars aspire to do (however unrealistic their hopes) is comparable to what Egyptologists do when they uncover and analyze the data in order to find out as far as possible “what happened” in the days of Akhenaten; Assmann’s interest is entirely different. His mnemohistory is a survey of the various cultural myths that appear to have arisen in the wake of the Akhenaten revolution. The two types of historical inquiry are completely different. Both are valid, but they each have quite different agendas. To see a fuller explanation of historical positivism and how historians have both embraced and moved away from it see R.G. Collingwood, The Idea of History, originally published 1946 but printed and released many times since. It seems to me that with an oversimplified view of historical positivism Chris Keith has thrown out the baby with the bath water. Historical positivism originated as an attempt to set historical inquiry on a scientific footing. To this end historians believed that they should first establish the “facts” as a scientist establishes the facts, and from that starting point hypothesize and test laws to explain the relationships between those facts. By turning to Assmann it looks to me as if Keith has begun with a view of history that has no interest in the historical origin of a myth, that is, uncovering “the original facts” (this being considered an impossible quest), but only in the various ways the myth came to be “remembered” and mutated through the generations and again in his own time. But even when mainstream historians rejected positivism (the belief that they could establish historical laws or principles from “the facts”) they did not reject the belief that they could find some form of real substance or “true events” in the past. Of course everything is necessarily interpreted. That again is a truism that needs no elaboration — at least to most historians I know of. (It only seems to be “big news” among some New Testament scholars, it seems to me.) But interpretation of an event does not mean that the event does not have some form of objective reality. We all have our interpretations of World War 2, of Churchill and Hitler. We cannot avoid them. But that does not remove the possibility of knowing that Churchill and Hitler really did do and say certain things, made certain decisions, and that very real and objective events that we can know about did follow as a result. Yes, we view those events through our interpretations. We know that people in other cultures and nations will have different interpretations, but no-one can deny that certain events are real and really did happen. If I have misunderstood Chris Keith’s point I am more than willing to be better informed. The difficulty with historical Jesus studies that has given rise to this misguided view of history as being completely beyond reach is that our earliest sources for Jesus, the letters of Paul, write about nothing but the myth of Jesus. Jesus, and what is sometimes referred to as “the Christ event”, is to Paul an entirely theological construct. The same is true of the later sources, the Gospels. We only come to historical constructs (as distinguished from theological/mythical ones) in the next lecture in the conference, “The Reception of Jesus in Paul” by Christine Jacobi. However, as we shall see, those earliest historical constructs — the model of Jesus teaching and his words being remembered and passed on in various forms until they are set down in the Gospels — are entirely hypothetical. They are entirely extrapolations from the myth itself. I suspect Chris Keith would respond by saying that all records of history are by nature, inevitably, some form of myth because they must be interpreted in order to be narrated. My response is that yes, but interpretation does not deny the reality of events or persons. Recall my example above referencing the facts and persons of World War 2. We can know there was a real person Akhenaten and series of events that really happened around him — independently of the myths that those events generated. It does not logically follow that there was no historical Jesus at the start of it all or that Jacobi’s historical construct is wrong. What does follow, in my view, is that it is pointless to ask questions about what the historical Jesus was like or what he said. We simply have nothing beyond the myths to inform us. The only question that the available evidence allows us to ask, as I see it, is how are we to understand the nature of the earliest evidence and how do we account for its origins. To answer that the historian needs to inquire into not only the character of the world from which our sources emerged but also into attentive literary, redactional and other analyses that deepen our understanding of the nature of those sources. In true stories, as well as most conventional fiction, when characters move about, do things, say things, and interact with one another or with their environments, they operate logically. That is, we understand their motivations. The chicken crosses the road not simply to get to the other side, but because she wanted something over there. On the other hand, characters in fairy tales operate differently. They don’t act like real people. In their book, Social Memory: New Perspectives on the Past, James Fentress and Chris Wickham explain that within folk tales (of which fairy tales are a subset), everything follows convention — the setting, the plot, the characters — all of it must follow the formula. And so people do things that in real life would raise serious questions. However, in their fairy-tale setting, we suspend disbelief. 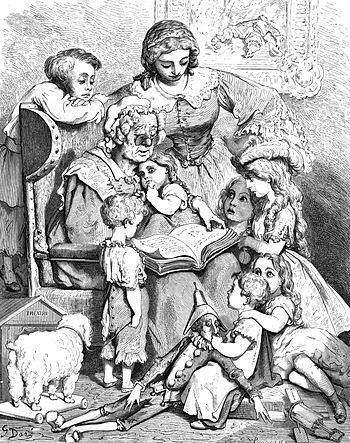 In ‘The Juniper Tree’, the mother does not ask how and why she has become pregnant, nor how or why she is to die in giving birth. Similarly, there is no particular reason why Ann-Marie gathers her brother’s bones and buries them under the juniper tree; she just does so. The father is given no personality at all; he merely serves to accomplish the thematic business of eating the ‘beast’. Ireneo Funes, the eponymous character in Jorge Luis Borges’ short story, “Funes, the Memorious,” lived the first part of his life completely in the moment. Recalling his first encounter with the enigmatic figure, the narrator relates an incident from long ago when he and his cousin Bernardo were racing on horseback, trying to outrun a storm. They heard, suddenly, the sound of footsteps on the brick footpath above. It was Funes. In those days, Funes always knew the exact time; he knew about now, but remembered nothing of the past. Later, when the narrator meets Funes, he explains how an accident changed everything. In our last post, we discussed the genre of the gospels. We saw that Bart Ehrman, at least for this book (Jesus Before the Gospels), chooses to gloss over the issue of genre, and simply assumes that the gospels contain memories of the historical Jesus. Of course, he concedes that those memories may be distorted. But what exactly do we mean by “memory distortion”? And is it a big deal, or is it just a minor annoyance? Human memory can fail in two ways. First, we can simply forget the past. Second, our memories of the past can become changed and distorted. These inaccurate memories can contain false details, or they can represent incidents that never happened. Our capacity for distortion affects not only our personal recollection but social memories as well. A prominent theme in this area of study is that societies often hold beliefs about their pasts that are based on stories and myths that develop and change over time, often bearing little resemblance to the events that initially gave rise to them . . . In the last installment, we covered oral tradition. As I look over the post now, I see that I missed several opportunities to add the adjective, “rich.” Biblical scholars love to write the words “rich oral tradition.” How, you may ask, do they know such details about something based mostly on conjecture? Watch out! If you keep asking questions like that, you’ll earn yourself demerits for skepticism. Bart Ehrman naturally considers it important to expound upon the rich oral tradition™ behind the gospels, because it connects the historical Jesus to the written New Testament. Serious scholars would probably also care about how the evangelists assembled that material. They would ask themselves what the authors intended. Did they think they were writing biographies, histories, hagiographies, novels, or what? Were authors of the gospels even conscious of what they were doing; did they have a plan? An actual historian would most likely start with the written work first, and work back from there. He or she would want to determine the type of document we’re dealing with — i.e., the genre of the gospels. We’ve covered this topic many times on Vridar, including my series about how the consensus changed dramatically over the past century. As we learned previously, the form critics cared about genre, too. 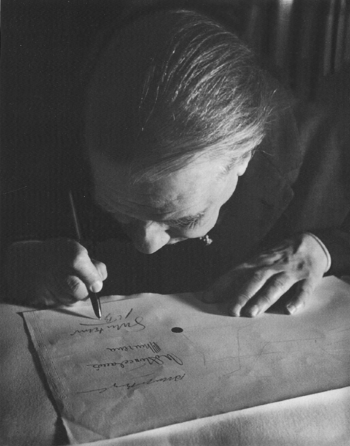 Rudolf Bultmann called it the first task of form criticism. Until we confirm that the gospel of Mark is not a story about Jesus, but a collection of stories about Jesus, we have no solid grounds for dividing the book into individual pericopae (that supposedly came from distinct oral streams). Oddly enough, the scholar credited as the father of Formgeschichte, Hermann Gunkel, never used the word. Rather, he focused on the Gattung or genre of the literature in the Old Testament. He well understood the need to identify the book of Genesis as a large collection of individual traditions assembled under the guiding hand of gifted redactors. He accepted the prevailing Graf-Wellhausen theory that the Pentateuch is composed of four main separate, written sources: J, E, D, and P. But he also argued that the individual source documents reflect much older oral tradition. Are the gospels written “memories”? However, in Jesus Before the Gospels, Bart Ehrman sidesteps the entire issue, preferring instead to treat the gospels as memories. At least in the case of their readers, the gospels certainly became memories. But he does not provide any sustained credible argument that the gospel stories had been actual memories of their communities, let alone give us any reason to believe that such memories go back to real events that occurred in the life of Jesus. Traditions, the form critics held, were transmitted orally within the Christian community until at some point people began to commit them to papyrus. The author of Mark presumably constructed the first gospel from (1) stories that were still only preserved orally, (2) written traditions preserved only as Jesus’ sayings (logia), and (3) narrative fragments already preserved in writing. He has described the general form-critical understanding of oral tradition. More recent research has added to our understanding of this process. In the first phase, Jesus himself preached and performed certain acts. His disciples remembered and retold those stories. Jan Vansina and other experts in oral tradition would call this the oral history phase. Once the tradition moves outside the sphere of eyewitnesses and direct memory, either because of geographic or temporal distance, we reach the second phase. In phase two, the community that inherited the traditions of and about Jesus preserved them through memory and the telling and retelling of the traditions. The context of the transmission is, above all else, a social setting. It depends on the community of believers telling stories in an internal (preaching to believers, worship, catechism, cultic practices) and external (preaching to nonbelievers, apologetics) setting. Nearly a year ago, while reading Bart Ehrman’s blog, I became aware that he was writing a book on memory. That news gave me no joy. My sense of unease, if not distress, did not diminish even when he said he had spent practically all of his spare time for two years reading up on the subject, because one never knows which Bart is going to show up. Will we get the Bart who writes careful, well-written, meticulously researched books (some of the best in the genre) or will we get the one who skims the surface, makes inexplicable mistakes, jumps to conclusions, and wastes our time with recycled material? Well, let’s find out. When we reflect on our personal memories, we rely on social frameworks — language, mores, religious beliefs, shared history, etc. — to make sense of them. On the other hand, collective memory is maintained within the personal memories of the individual minds within the group. Or, more simply: Personal memories depend on social frames for context, while social memories depend on individual brains for storage. The word distortion reminds me of an old hobby. In our late teens and twenties, many 20th-century dinosaurs like me invested in high-fidelity (hi-fi) sound equipment to play our music. I can remember taking an LP record out of its sleeve for the first time, recording it on tape, and then storing the record away safely. We performed that ritual, because we knew each time we played the record — even with the best stylus and cartridge — it would suffer wear. Of course, in our old analog systems we had to deal with multiple sources of distortion during recording and playback. 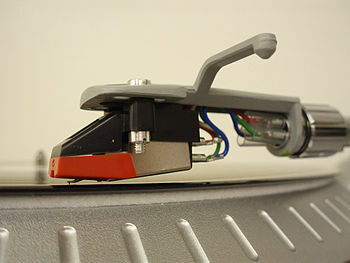 The turntable motor might produce rumble, the stylus might produce pops and clicks as it encountered dust particles or scratches, or the tape machine might produce wow and flutter. And so we had two goals: first, prevent the distortion where we could and second, manage or mitigate the distortion we couldn’t prevent. Technically, none of the above are examples of electronic distortion; rather they’re instances of noise or interference. We actually had little control over true distortion, other than to use the best equipment we could afford and not to scrimp on peripheral items like cables. Given the linguistic content of the material, then, it would appear that someone perhaps even as late as the Babylonian Exile may have written the song in an archaic form of Hebrew as a deliberate affectation. 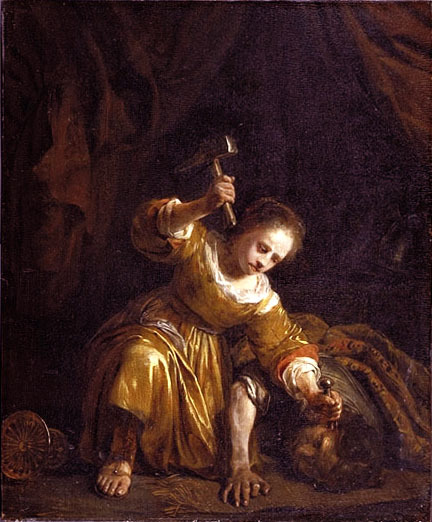 In any case, my interest at the moment is not so much the song itself, along with its lurid details and grotesque schadenfreude concerning Jael crushing Sisera’s skull (which is apparently an irresistible subject for artists), as its unexpected use in a particular event in British Colonial American history. Just what are you guys doing over there? Many of the Separatist Congregationalists who left England in the early 17th century tried making a go of it in Holland but eventually came to the conclusion that living among the Dutch presented the temptation of too much freedom. Nor were they happy with the prospect of their children assimilating culturally into a non-English society. The decision to leave Holland and sail to a new, wild continent had little to do with the religious freedom of the individual, but everything to do with the religious liberty and solidarity of the group. Within their new, ideal community, they would stay focused on what they believed to be important and would bind themselves together via a legal compact. What’s Wrong with the Word “Pericope”? Sometimes I discover the most curious things en route to learning something else. I can’t even remember why now, but for some reason I recently stumbled upon the definition of pericope (peh-RIH-kuh-pee) at the Oxford Biblical Studies Online site.